 Our History Happy Hour will be hosted at a prominent law firm in downtown, Seattle, exact location provide with registration. 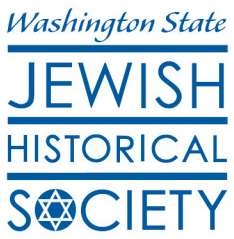 Join the WSJHS in downtown Seattle for our next History Happy Hour on May 7th. Light refreshments will be provided. 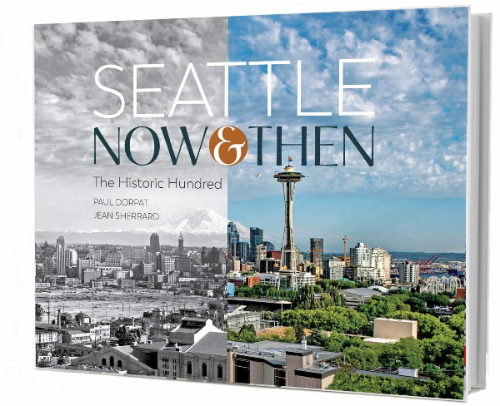 Paul Dorpat and Jean Sherrard are presenting a slate of illustrated talks on behalf of their new photo book, Seattle Now & Then: The Historic Hundred. A new and inspiring compilation of a lifetime of documenting the city’s heritage by Seattle public historian, Paul Dorpat. The most compelling and essential of Paul’s 1,800 photo-history columns for the Sunday magazine of The Seattle Times. Each stunning “then” image paired with a new, matching, full-color “now” photographed by Jean Sherrard.